Whether you're in need of a relaxing place to reconnect with nature, a fun place to bring your kids or host a birthday party, or the perfect gift for a family member or friend, the Great Plains Nature Center has what you're looking for! Conveniently located off of K-96 at 29th and Woodlawn, the Great Plains Nature Center features a 2-mile paved trail system in Chisholm Creek Park. Our beautiful, interactive educational diplays in the Koch Habitat Hall offer a fun way to learn about the diversity of wildlife and plants in Kansas and the Great Plains region. The Owl's Nest gift shop features a huge variety of books and gifts for everyone on your list! Books, games, puzzles, plush animals, puppets, shirts, totes, and home decor items perfect for the animal or nature lover in your life. Best of all, you can experience all of this for free! There is no entrance charge for the museum or the nature trail. School groups and field trips are welcome; contact us to schedule your visit. Weekly and one-time nature-related programs for children, seniors, families, scouts and all ages are advertised on the program page of our website. Teacher resources and workshops are available, as well; visit our resources page for more information. Several wildlife organizations, such as Wichita Audubon Society, Sierra Club, and Chisholm Creek Gun Club meet at the Great Plains Nature Center on a regular basis. Contact us to learn about meeting dates and program topics, and plan to attend one of these open-to-the-public meetings. 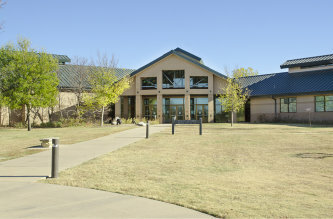 The Great Plains Nature Center is a cooperative partnership between the U.S. Fish & Wildlife Service, Kansas Department of Wildlife & Parks, and City of Wichita Department of Park and Recreation. These agencies share a common goal of providing opportunities for the public to investigate, understand and develop an appreciation for wildlife and the environment, while promoting sound stewardship of natural resources.